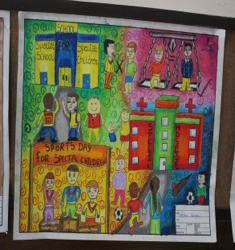 Children and adults took part in a poster competition with the theme "dignity in mental health" was held, and prizes as well as certificates were distributed. An insightful discussion on the mental health activities in the state followed. The discussion was chaired by Shri Alok Sanjar (member of parliament). The other dignitaries were Dr. Navneet Kothari (health director), Dr. Manish Singh (mental health deputy director), and Shri Omdeep Sharma (chairperson of thePRIME Community Advisory Board in Sehore). Shri Alok Sanjar said that the lifestyles of people are changing with the times, creating an unbalance in society. He stated that this is attributing to the detoriation of many people's mental health. Dr. Navneet Kothari felt that misconceptions prevalent in society misguide all, and the patients are devoid of apt treatment. Dr. Manish Singh shared the blueprint to implement a District Mental Health Programme, initially in seven districts of Madhya Pradesh. He added that this would be implemented in the other districts of Madhya Pradesh in the days to come. Dr. Rahul Shidhaye (principal investigator, PRIME) described the implementation plans and progresses regarding mental health in the state. “The piloting experience of PRIME revealed that mental health service delivery can be strengthened with strong facilitation by an external resource team and additional human resources are essential to establish true collaborative models of care,” said Dr. Shidhaye. 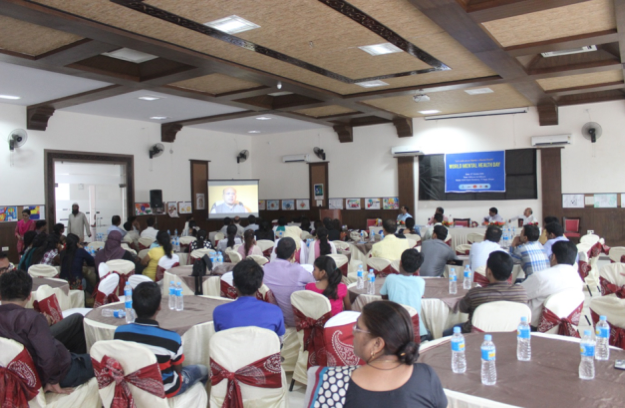 The documentary produced by PRIME on integrating mental health care was showed and a dissemination of recent research publications on PRIME work was also discussed. This occasion augmented awareness on mental health issues around the world. This will aid in mobilising efforts towards proper treatment, and care of the same. It also provided an opportunity for all stakeholders working on mental health issues to talk about their work, and what needs to be done globaly to make mental healthcare a reality.